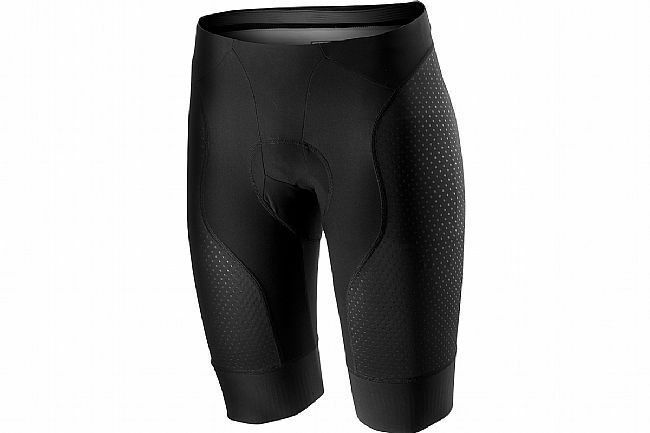 Castelli's Men's Free Aero Race 4 Short features a new leg gripper design with vertical silicone stripes to keep it in place without restricting stretch. New fabric allows for better print quality. The seams have been updated to improve the fit and make the short look even better on the body. This short also received the updated Progetto X2 Air seamless seat pad featuring Castelli's softest surface fabric.